I was in Ricard Camarena’s restaurant in Valencia, where the waiters not only serve the dishes but also give tips on how to set about them. A week after my visit, Camarena was awarded a Michelin star; I wasn’t surprised at all, as it was the most original and intriguing meal I’ve had for a long time. I had got through at least half my soup before it dawned on me that I was eating something cold. Somehow the spices and flavours had tricked my senses, making my poor little brain think that the soup was hot. When Camarena joined us for coffee later, I mentioned my confusion, and also said it had been my favourite part of the meal. I didn’t really mean that the other courses (and there were five, not counting the desserts) weren’t as delicious, but that the soup was the most interesting. 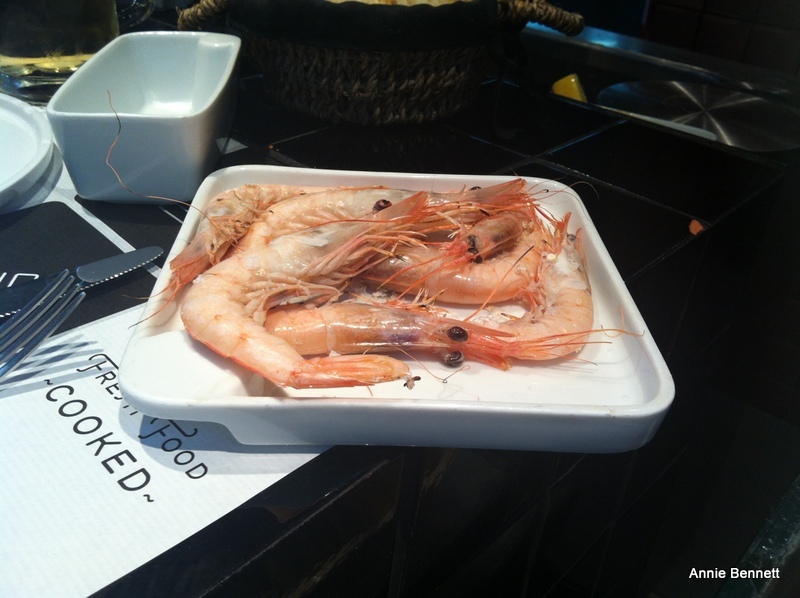 Camarena said that it is the dish he likes the most, but it is the least popular with diners. That really surprised me, as I’d been so impressed by it. “It’s not a conventional dish. It combines three flavours that people often don’t like. Lots of people don’t like coriander, some don’t like cucumber and others don’t like spicy flavours.” I said it would go down a storm in London, where people are generally more into spicy food than in Spain. You would think that a new restaurant that gets a Michelin star soon after opening would be enough to keep anyone busy, but this is not Camarena’s only new venture. Next door he has opened Canalla Bistro, where the vibe is buzzier and the menu is a mix of Mediterranean, Asian and American dishes. We shared a zingy salad of courgette ribbons with rice noodles, parmesan and sesame, marinated amberjack chunks with satay sauce and a Katz-style pastrami sandwich. And a few other things; it’s the kind of place where the afternoon can easily slip by. They do a three-course lunch menu for €20 including a glass of wine or whatever, which is amazing value for the quality. In the main Ricard Camarena restaurant, there is a four-course menu for €65 and an eight-course extravaganza for €85. Mains are aroud €30. 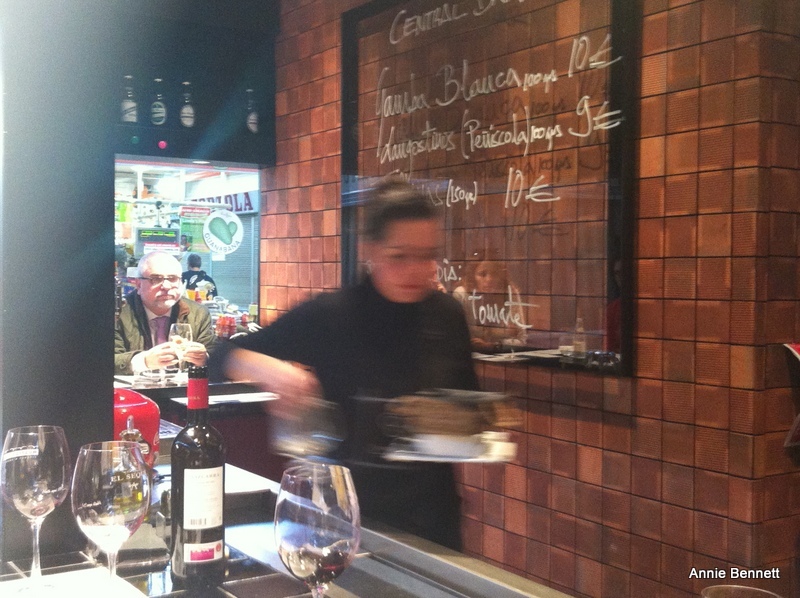 Camarena has yet another bar in Valencia’s splendid central market, called Central Bar, where of course they make the most of the best produce on sale each day. 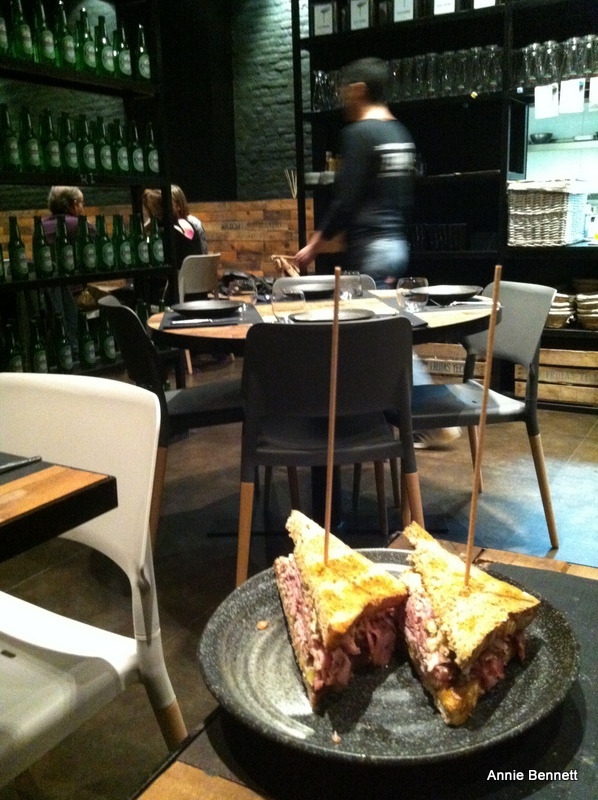 Have some patatas bravas, some grilled prawns, a cuttlefish sandwich… and a beer or two. It’s a great way to get into the swing if you’ve just arrived in Valencia. In Madrid, meanwhile, you can try Camarena’s cuisine at the fashionable Ramses restaurant, where chef José Marín is in charge. That’s a newish thing too. With the current invasion of Spanish chefs in London – José Mari and Elena Arzak are opening Ametsa, Marcos Morán has opened Hispania and Quique Dacosta is reportedly looking for a suitable site – maybe Camarena will be next. Just an idea. As if he didn’t have enough on his plate. Oh really? Not sure I like the idea of cruise passengers hogging all the stools at Central Bar! But good for business I suppose. If you like discovering Valencian “wonders”, don’t miss the Valencian Tuscany. Just google it !!! 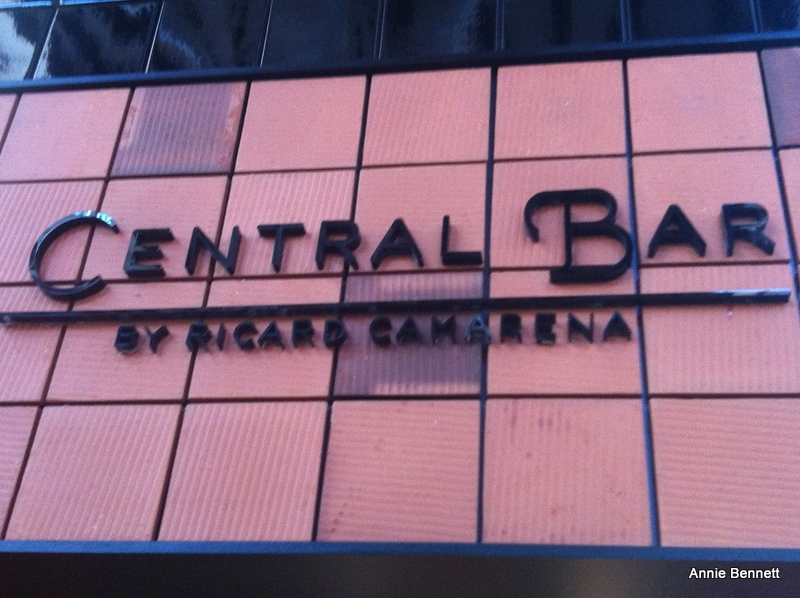 Heard great things about Chef Ricard Camarena and i am looking forward to try his food. Spain is on the roof of the globe in terms of exciting cooking and it’s a pleasure to hear that Chef Camarena does justice to that reputation. That was one of the most impressive meals I’ve had in the last six months. 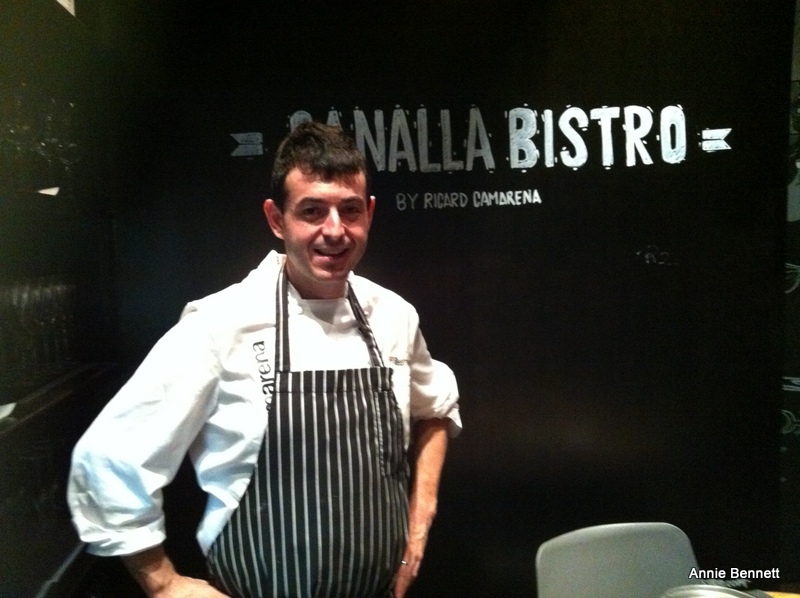 Ricard Camarena is a really exciting chef.